Another year has come to a close and it’s been a big one for Microsoft with the release of Windows 10, their free and supposedly last operating system Windows 10 Is the Last Version of Windows. Ever. Windows 10 Is the Last Version of Windows. Ever. Microsoft is sick of you not upgrading, and has a solution: Windows 10 will be the final "version" of Windows. Ever. This could mean that you will never again have to buy Windows. Read More . With our eyes to 2016, it’s time to take a look at some Windows projects that you can carry out in the new year. Whether it’s freshening up your wallpaper selection, clearing out all your excess files, or backing up your data to the cloud, we’ve rounded up a list of ideas for you to delve into and tackle. Of course, there’s much more to do than just this list, so be sure to share your own ideas in the comments following the article. Let’s start with arguably the biggest project and that’s upgrading to Microsoft’s latest and greatest: Windows 10. Made available back in July for public availability, the operating system has now been installed on over 110 million devices. And “devices” is a key word there, since this operating system will ultimately be fully unified across computers, tablets, and phones. If you’ve been holding off upgrading to Windows 10, now is a great time. It’s available free for the majority of existing Windows users and is a very stable operating system – it was at launch too, but now it’s had half a year of bug fixes and improvements added on top. There are plenty of compelling reasons to upgrade to Windows 10 10 Compelling Reasons to Upgrade to Windows 10 10 Compelling Reasons to Upgrade to Windows 10 Windows 10 is coming on July 29. Is it worth upgrading for free? If you are looking forward to Cortana, state of the art gaming, or better support for hybrid devices - yes, definitely! And... Read More . It’s actually very easy to upgrade to Windows 10. Check out our guide on how to upgrade How to Upgrade to Windows 10 Now & Why You Should Wait How to Upgrade to Windows 10 Now & Why You Should Wait Have you been waiting patiently since July 29 for your Windows 10 upgrade? You should probably wait until you receive an official notification, but if you are determined, you can force the Windows 10 upgrade. Read More for all the different methods. You likely look at your wallpaper every day, so it’s important to make that image something interesting. If you’re like me and you get bored of your wallpapers quite quickly, it’s time to refresh your selection. First, make sure you’re getting the best out of your desktop by finding an image that suits your monitor resolution – just one of our tips to improve your desktop wallpaper The 5 Best Tips to Improve Your Desktop Wallpaper The 5 Best Tips to Improve Your Desktop Wallpaper Read More . Now you need to hunt down some good wallpaper resources. Luckily, we’ve got you covered. Check out this list of awesome wallpaper sites Need A New Wallpaper? These 5 Awesome Sites Will Get You There Need A New Wallpaper? These 5 Awesome Sites Will Get You There Your choice of desktop wallpaper says a lot about who you are. So, if your wallpaper is an expression of who you are, where can you find wallpapers that fit your personality? Read More and then this Tumblr blog stunning wallpaper round-up 8 Tumblr Blogs To Download Stunning Wallpaper Images 8 Tumblr Blogs To Download Stunning Wallpaper Images Are you big fans of Tumblr? Here at MakeUseOf, we certainly are. The blogging platform brings together the idea of blogging together with social networking and has become home to some of the most creative,... Read More . Whether you want an image from your favorite film or game, an inspiring scene, or a celebrity that takes your fancy, you’ll find something you like in those resources. 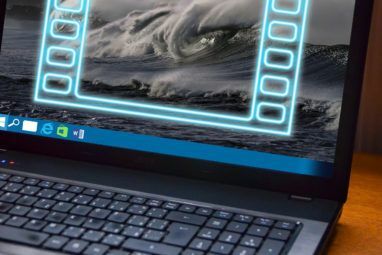 It’s even possible to have a live and moving wallpaper How to Set Live Wallpapers & Animated Desktop Backgrounds in Windows 10 How to Set Live Wallpapers & Animated Desktop Backgrounds in Windows 10 Want to liven up your Windows 10 desktop with some animated backgrounds? Here's what you need to do. Read More if you want. Plus, you needn’t be stuck with one wallpaper that you have to manually change. You can grab tools to rotate your wallpapers automatically Spice Up Your Desktop With These 3 Excellent Wallpaper Changers [Windows] Spice Up Your Desktop With These 3 Excellent Wallpaper Changers [Windows] A beautiful desktop is a matter of aesthetics. Some people care, others don't. If you are the kind who appreciates clean and organized spaces, then I'm sure your desktop isn't cluttered with icons. While a... Read More , meaning you can be treated to a new picture every day. The popularity of cloud storage continues to grow. All the big dogs, like Microsoft and Google, have their own personal cloud offerings, which allow you to store your data online, so that you can access it from wherever you are. It’s also a good method for keeping your hard drive storage free for things like apps and programs, which you need to store locally and can’t install into the cloud. With so many cloud storage services out there, it can be hard to decide which one to choose. Luckily, we’ve done a round-up of the big cloud providers The Cloud Storage Showdown - Dropbox, Google Drive, SkyDrive & More The Cloud Storage Showdown - Dropbox, Google Drive, SkyDrive & More The cloud storage scene has heated up recently, with a long-awaited entry by Google and a revamped SkyDrive from Microsoft. Dropbox has gone unchallenged by the major players for a long time, but that’s changed... Read More and also collected our readers’ top cloud storage services. Come the new year, release your hard drive’s strain and send the data to the cloud! However, a word of warning: while no storage method is ever truly one hundred percent secure, storing in the cloud does increase the risk of data being stolen. A lot of the time your data is essentially in the hands of a company. Check out our tips on how to make Dropbox more secure Securing Dropbox: 6 Steps To Take For Safer Cloud Storage Securing Dropbox: 6 Steps To Take For Safer Cloud Storage Dropbox isn’t the most secure cloud storage service out there. But for those of you who wish to stay with Dropbox the tips here will help you maximize your account’s security. 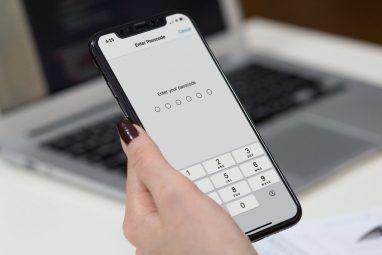 Read More or look towards some encrypted cloud services Secure Your Files: 3 Encrypted Dropbox Alternatives Secure Your Files: 3 Encrypted Dropbox Alternatives Dropbox brought cloud-based file synchronization and storage to the masses, but it's been hindered by high-profile security problems. Fortunately, you have another option — an alternative service that secures your files with local encryption and... Read More . If you want to go one step further, then consider creating your own private cloud Create Your Own Secure Cloud Storage With Seafile Create Your Own Secure Cloud Storage With Seafile With Seafile, you can run your own private server to share documents with groups of colleagues or friends. Read More . If you’re not careful, your computer can soon get clogged down with junk. It’s time to clear out stuff you don’t need. First, get rid of duplicate files Save Hard Drive Space By Finding And Removing Duplicate Files Save Hard Drive Space By Finding And Removing Duplicate Files Duplicate files come in a variety of flavors. In addition to exact copies of files, you may have very similar images, music files that contain the same song ripped from different sources, or text documents... Read More or data that is too similar (like unnecessary versions). Not only will this free up data on your drive, but it’ll also make it easier to find what you need. Second, use a bulk uninstaller How To Install & Uninstall Windows Programs In Bulk How To Install & Uninstall Windows Programs In Bulk A mass installer or uninstaller can save you heaps of time. Remember the last time you set up a new computer? We are going to teach you how to do these tasks in a flash. Read More to quickly remove all the programs that you no longer use. If some of these programs have been set to constantly run, you should find your system runs a bit quicker for their removal. Third, give your Internet browser a refresh by clearing out your browser history How to Manually & Automatically Clear Your Browser History How to Manually & Automatically Clear Your Browser History The websites you visit leave tracks on your computer. We show you how to delete your browsing history in Firefox, Chrome, Edge, and Internet Explorer. Read More . Further tips and more details on these can be found in our guide to avoid junk piling up on your computer Avoid Junk Piling up on Your Computer with These Strategies Avoid Junk Piling up on Your Computer with These Strategies Not only can you free up precious space, you might also experience improved system performance. Do it regularly or automate the process, we'll show you how. Read More . If there’s just one thing you take away from the list, make it this. A lot of people don’t see the value in backing up their data until they lose it. The effort required to set up a stable backup plan isn’t much when compared to the headache of trying to recover lost data. Think about all the photos, videos, and other personal documents you’ve got stored – you don’t want to lose these. 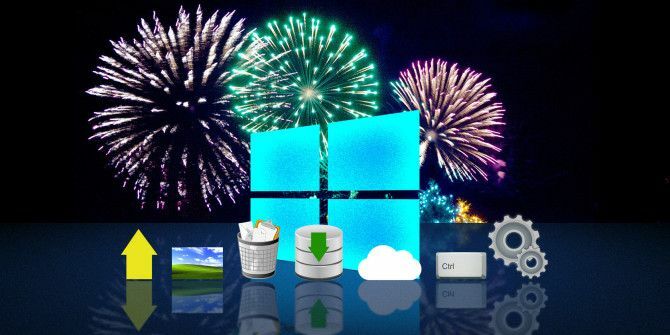 Check out our basic backup facts you should know 5 Basic Backup Facts Every Windows User Should Know 5 Basic Backup Facts Every Windows User Should Know We never tire to remind you to make backups and keep your data safe. If you're wondering what, how often, and where you should back up your files, we have straight forward answers. Read More for an overview of the why and how of backups. Note that keeping the original data and the backup in the same physical space doesn’t help when faced with a fire or environmental disaster. Backing up to an off-site drive offers greater redundancy and security. My personal preference is to use daily incremental backups with CrashPlan CrashPlan for Home Shuts Down: What Now for Online Data Backups? CrashPlan for Home Shuts Down: What Now for Online Data Backups? CrashPlan is a popular cloud based backup provider. Their recent announcement to close the Home solution has left users in the cold. But here's what you can do next to safeguard your data. Read More to an external hard drive. Another alternative would be to use an online backup, though be sure to read our thoughts on choosing an online backup provider Read This Before Choosing An Online Backup Provider Read This Before Choosing An Online Backup Provider Backing up your files is a no-brainer - at least it should be. Hardware failure, security breaches, natural disasters, thieving scumbags and clumsiness can all lead to heart-in-mouth moments when you realise that your precious... Read More first. It might be best to store sensitive data locally and then less important data online. That’ll save on your bandwidth and storage allowances, too. You probably know some of the more popular shortcuts like Ctrl + Alt + Del or Ctrl + C, but these are just the tip of the iceberg. You can use many more shortcuts to speed up your system use. For example, did you know you can launch any program with the keyboard How to Launch Any Windows Program With the Keyboard How to Launch Any Windows Program With the Keyboard Did you know you can launch any Windows program you want with user-defined keyboard shortcuts? Read More or insert symbols using the Alt key 15 Common Symbols You Can Insert With the Alt Key 15 Common Symbols You Can Insert With the Alt Key Your keyboard has lots of symbols, but there are plenty more that aren't immediately accessible. Read More ? If you’re a big Office user, be sure to check out our essential Microsoft Office keyboard shortcuts 60 Essential Microsoft Office Keyboard Shortcuts for Word, Excel, and PowerPoint 60 Essential Microsoft Office Keyboard Shortcuts for Word, Excel, and PowerPoint Hundreds of keyboard shortcuts are available in Office, but these are the most important ones you should know because they will save you a lot of time. Read More for powerful Word, Excel, and PowerPoint use. And then take it all to the next level by learning how to navigate Windows with only keyboard shortcuts Navigating Windows with Keyboard Shortcuts Alone Navigating Windows with Keyboard Shortcuts Alone You might know lots of keyboard shortcuts, but did you know you could get around Windows without your mouse? Here's how. Read More . If you want to fully commit to keyboard shortcuts (just think of the seconds that add up in time saved! ), then all you need is our ultimate keyboard shortcut guide Windows Keyboard Shortcuts 101: The Ultimate Guide Windows Keyboard Shortcuts 101: The Ultimate Guide Keyboard shortcuts can save you hours of time. Master the universal Windows keyboard shortcuts, keyboard tricks for specific programs, and a few other tips to speed up your work. Read More . Once mastered, it’ll be like you’re inside the matrix. A driver is a piece of software that communicates with your computer hardware so that it’s compatible with the operating system. If everything on your system is running as expected, you probably don’t need to update your drivers. However, if you’ve been having problems with your video or audio, for example, it might be down to outdated drivers. Check out our guide on how to find and replace your drivers How to Find & Replace Outdated Windows Drivers How to Find & Replace Outdated Windows Drivers Your drivers might be outdated and need updating, but how are you to know? Here's what you need to know and how to go about it. Read More for more information. Your computer consists of many different hardware components What's Inside Your Computer: The Story Of Every Component You Need To Know What's Inside Your Computer: The Story Of Every Component You Need To Know Whether you're buying a new computer or building your own, you're going to be subjected to a lot of acronyms and random numbers. Read More and if you’ve had your system for a while, then it might be time to upgrade some of those parts. You might want to get newer hardware, so your system can take on more intensive tasks like gaming Here's How Gaming Will Work With Windows 10 Here's How Gaming Will Work With Windows 10 With Windows 10, Microsoft is bringing PC gaming and the Xbox One together in a big way. Find out what to expect once Windows 10 arrives. Read More or video processing. Alternatively, it could just be that some parts are failing or have broken Every Computer Dies In The End: Learn What Parts Can Fail, & What To Do About It Every Computer Dies In The End: Learn What Parts Can Fail, & What To Do About It Most computers develop problems over time. Learning what they are and how you can deal with them is important if you don't want to be paying through the teeth for professional repairs. Don't worry though... Read More . Examples of hardware you can upgrade are RAM sticks, hard or solid state drives, the video card (if you have a desktop computer), and your external screen. If you’re on the hunt for new hardware, be sure to check our guide on how to get the best deal on parts Building A PC? How To Get The Best Deals On Parts Building A PC? How To Get The Best Deals On Parts Building your own computer and want to get the best deals? You need a strategy that can score red-hot sales before they sell out. My preferred method uses a multi-spectrum approach. Read More . We’ve looked at wallpapers, but let’s take that to the next level and customize every aspect of Windows possible. Start it simple and tweak the Windows 10 taskbar 7 Tips for Customizing the Windows 10 Taskbar 7 Tips for Customizing the Windows 10 Taskbar The taskbar remains a staple feature in Windows 10. It's been given a fresh look and new features, including Cortana. 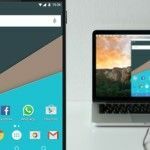 We show you all the tweaks to make the taskbar your own. Read More to your liking; it’s on the screen most of the time, so it’s worth getting this looking and behaving good. Alternatively, you could replace the taskbar completely with a dock or switch up your Start button – all that and more in our geeky Windows customization tips 8 Geeky Ways to Customize Windows to Your Needs 8 Geeky Ways to Customize Windows to Your Needs Customizing Windows might help you navigate your computer and anyone can do it. That's right – even if you feel slightly tech illiterate, you should optimize your setup. We've covered your options right here. Read More . But you can customize more in Windows 10, like the window colors, the lockscreen, and file explorer. Find out how in our quick guide to Windows 10 personalization 10 Quick Ways to Customize & Personalize Windows 10 10 Quick Ways to Customize & Personalize Windows 10 Not all of Windows 10's default settings will float your boat. We show you all the possible ways to customize Windows 10 in a simple, step-by-step guide. Read More . Some people may resolve to join a gym or learn an instrument for 2016, but that’s predictable. Set your new year resolution to be giving your system a new coat of paint, then follow our tips above, and you’ll be well on your way. Whether you create a backup plan, replace aging components, or become a keyboard shortcut guru, all of these projects will improve your system or experience of it in some way. What Windows projects do you have to share for the new year? Will you be trying any of these out? Explore more about: Cloud Storage, Data Backup, Drivers, Keyboard Shortcuts, Wallpaper, Windows Customization, Windows Upgrade. Maybe moving from Windows 7 (after it expires) to Mint? 1 and 3 are bogus at best. 10 is far from Microsoft's best although it is the latest. And moving things to the cloud is a security nightmare and only feasable for those with extremely fast internet connections and no data caps (basically the onepercenters).